By Mohamed Yahya, 31 January 2014 Let no one tell us that Nkrumah died of a cancer to the throat or some other disease; no Nkrumah has been killed by the cancer of betrayal that we should uproot. Coming across these powerful words uttered at Nkrumah's funeral in Conakry by Amilcar Cabral, then-leader of the liberation movement; Partido Africano da Independencia da Guine e Cabo Verde (PAIGC), is where my interest in Guinea Bissau began. In the last 12 months I have visited Guinea Bissau four times and on each occasion one is confronted by the huge chasm between reality and the aspiration of the liberation movement that freed the country from colonial despotism. Any visitor schooled in African liberation history would be devastated with the reality that confronts you once you land in Bissau the capital of Guinea Bissau. How could a revolution so momentous in its methods and able leadership birth dysfunction only second to Somalia's state collapse? This tiny country of about 1.5 million people has an important place in the history of Africa's struggle to free herself from the indignity and oppression of colonial rule. Guinea Bissau was the first country in Sub-Saharan Africa to achieve independence through armed struggle. The PAIGC under the leadership of Amilcar Cabral defeated the Portuguese Army on the field of battle, resulting not only in the freedom of Bissau Guineans but contributing to the downfall of Salazar-Ceatano's fascist regime in Portugal hence freeing Portugal itself from fascism. Amilcar Cabral did not live to see a free Guinea Bissau; his own naval Commander one Incencio Kani shot him dead on January 20, 1973 in Conakry. The death of Cabral was a great tragedy because it deprived Africa of a committed leader in her development and Guinea Bissau a true visionary to lead her into a turbulent post-independence era. Cabral had a deep commitment to humanist ideals and a profound concern for the oppressed and downtrodden. It's during his studies in Lisbon that he observed that the Portuguese colonialist counted on Africans who had the privilege of education to renege on Africa and serve their own interest. It was also in Lisbon that Cabral, a Cape Verdean, came to consider himself as an African. 'Re-africanisation' was born among a core group of students in Lisbon who would later form the bulk of the Liberation movements in Portuguese Africa. They included Cabral, Agostinho Neto of Angola and Marcelino dos Santos of FRELIMO. They were heavily influenced by Negritude as developed by black intellectuals in the French-speaking world. Negritude provided a coherent argument about the existence and resilience of African culture that was in no way inferior to European culture. The intellectual proponents of Negritude believed that since cultural alienation was the main consequence of assimilation, to achieve a level of cleansed consciousness one had to reject colonial culture. Cabral's vision was a united Cape Verde and Guinea Bissau free from colonial rule and systems, and based on the emergency of its African identity. The Guinea Bissau of today is devoid of any semblance of its glorious past. The country is a poster child of unending wretchedness and a graveyard of life's promise that was ushered by decolonisation. Guinea Bissau is an odd place that disarms even the most astute analyst of any predictive capacity. Since the first military coup in 1980 against the government of Luiz Cabral there have been four consequent military coups, including the assassinations of a sitting President, three military generals and a head of the intelligence without anybody being prosecuted let alone convicted for such crimes. It saddens to say but the Guinea Bissau of today is a picture perfect case study for any racist wanting to showcase their bigoted assertion that Africans cannot govern themselves. The social indicators after nearly 40 years of independence are painful to fathom. Under five and maternal mortality rates are among the highest in the world, at 161 deaths per 1,000 children and 690 deaths of women per 100,000 live births respectively. 86% of women state being victims of domestic violence, 19% of married women are between 15- 19 years old, and Female Genital Mutilation affects 50% of women. Illiteracy is also prevalent; 64% of women and 48% of men are illiterate, with higher rates in rural areas. On the economic side, the situation is not rosy either. Guinea Bissau's main foreign exchange earner is raw cashew. This overreliance on a single crop has left the country exposed to global price volatility which is further compounded by political instability that affects production. After the latest military coup in April 2012, there has been a significant collapse in production of raw cashew coupled with a fall in global prices. Considering that 60% of the population directly or indirectly relies on the cashew sector, this has had significant negative impact on livelihoods further depressing the national mood. In my latest trip to the country I visited a local businessman who has interest in the cashew sector. I was keen to understand how he operates in such a hostile business environment. Bissau has no infrastructure to speak of - no electricity, roads are worse than what one sees on a trip to Mogadishu, and violence can be visited upon you with no warning or recourse. One thing is certain - no society has ever prospered by shackling its entrepreneurs. I was keen to learn how this specific local businessman who has dual citizenship was stubbornly staying put. His answer was that someone has to stay - we can't all abandon the country to 'vultures'. His resilience is not surprising; Africa is awash with resilient businesswomen and men who create wealth and employment in the most unconducive environments for business imaginable - what was fascinating with this specific individual was that he was bullish of the future of the country in spite of the extreme poverty of leadership that dogged Guinee Libre. I have always revered business people and have the highest admiration for their pioneering and risk taking zeal. The first barrier business people have to overcome is the validity of their chosen area of activity. They have to overcome the risk that their idea may be bunk, but in environments such as Guinea Bissau several other factors come into play. The lack of infrastructure, the lack of financing, political instability that frightens trade and debilitating corruption all become part of the equation for any business person. The question that remains unanswered for any reader of this piece is: why is a country born from the highest human aspiration and led by one of Africa's greatest leaders is now all but a failed state? Guinea Bissau, as mentioned before, should interest all Africans young and old. The country represents the chasm between the aspiration for self-determination achieved through armed-struggle and the failure of post-colonial leadership that robbed this continent of nearly 50 years of progress. Such a catastrophic failure can be sourced to two related issues. First it's the nature of colonial rule. The Portuguese system of assimilation coupled with the colonial economic policy called Estado Nove deprived the country of the political, educational, and economic infrastructure to succeed in the post-colonial dispensation. The Portuguese colonial posture like other colonial regimes in the African continent was based on the idea that Africans had no culture, history or religion. This belief in the emptiness of Africa justified their exploitation. For the Portuguese this meant they needed to free their subjects from their 'blackness' - a civilizing mission was at the heart of this colonial policy called assimilation. However this policy of assimilation was never actually applied in practice. In Guinea Bissau, for example, only 0.39% of the population gained the status of 'assimilados'. To become assimilado one had to go through a rigorous process that was tailored to ensure your 'blackness' was significantly reduced; meaning you were sufficiently aliened from your culture. As you can imagine many failed in the attempt to present themselves to be what they were not. What this meant is that Portuguese colonies, unlike the British experience, were vastly populated with high level illiterate 'subjects'. On the economic side, colonial policy was exclusively informed by Estado Nove which closed Guinea Bissau to foreign business and investments. This meant all agricultural products from Guinea Bissau were all destined to Portugal. This deprived the country opportunity to link to the larger global economy and limited the possibility of the growth of the non-agricultural sector. On the political side, Portuguese colonial rule remained rigid and centralized; which deprived Bissau Guineans of nationalist constitutional means for achieving decolonisation as seen in Ghana for example. Armed struggle was the only avenue open to them. The second factor that explains the current bankruptcy of Guinea Bissau is the nature of the armed struggles and its impact on the post-independence dispensation. The leaders of the independence struggle were largely sourced from the assimilado groups which happened to be mainly of Capo Verdean stock - aka light skinned mestizos. While the foot soldiers of the revolution were mainly from the largely uneducated Balanta ethnic group. The revolutionary army to free them from the Portuguese was largely populated by illiterate peasants from the Balanta tribe but led by educated assimilados of mainly Cape Verdean stock. The Balanta for whatever reason were more susceptible to join the revolution than other tribes such as the Fula or the Mandingo tribes in Guinea Bissau. 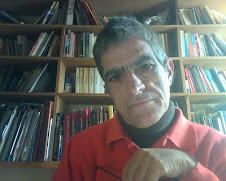 Cabral attempted to close the education deficit by initiating an extensive process of indoctrination and literacy programme within his revolutionary army. However, the needs of the war efforts combined with the low base of his recruits meant that the attempt to create a moral and well-disciplined army did not actualise. Cabral's fateful decision to populate his army with largely uneducated peasants ended up having long-term ramification that continues to be felt. Any observer of the current political wretchedness that is Guinea Bissau would point to the capture of the country by an army of illiterate or semi-illiterate Balanta. The Balanta, having fought for the liberation of the country continue to dominate the country's armed forces and inhibit a sense of entitlement, namely that the nation owes its freedom to their sacrifice not as individual fighters but as a tribe. This means a sense of entitlement is inherited by the tribe in perpetuity. This has led to the imprisonment of an entire nation by successive Balanta officers who are determined to keep their hostage. Unlike other African countries that have seen elite capture; this specific elite remains largely uneducated. This, I must say, removes any form of moderation in how they go about treating their hostage - the nation. This lack of moderation included the killing of sitting President Nino Vieira who was assassinated by the army then chopped into pieces by his own military doctor. Like most post-colonial states in Africa, independent Guinea Bissau without Cabral comfortably settled into a form of colonial state but this time led by Africans. What is clear is that the idea of a progressive Guinea Bissau was a one man team and when the brilliant leader was prematurely eliminated, the forces of mediocrity and ethnic parochialism gradually took over with devastating consequence not only for the wellbeing of the people of Guinea Bissau but also the pragmatic ideals of Amilcar Cabral and its wide application in the African continent. The depleted state of the museum of Amilcar Cabral in Bafata perfectly captures the state of his dreams. When I visited the museum of Cabral in Bafata, I was confronted by a sad state of a crumbling house and rotting pictures of the liberation leader. In the entrance to the museum, which also happens to be Cabral's birthplace, I had to navigate through stagnant water left behind by torrential rains that frequent the region. After a tour one cannot avoid the realisation that you have just observed the ashes of dreams unfulfilled. As they say, destiny is not a matter of chance but of choice. Guinea Bissau had the misfortune of being colonised by what was then a backward European country. It was birthed with many deformities but unfortunately the defects became chronic and life-threatening because of the choices made by its leaders. Today the country is a museum of our post-colonial failure. I know it's uncool to tell an African narrative of despair in the age of 'Africa Raising' but one cannot hide the raw facts that the country of Cabral is now the home of unrelieved misery. Africa in this little pocket is regrettably not rising but rather wingless and stuck. If there is one main positive takeaway, it is that the legendary African resilience is again on display in Guinea Bissau. Ordinary people are able to keep their dignity and get on with their lives in spite of the poor administration. In the eyes of the local businessman lies the unrelenting determination to continue building and investing against a tide of poor governance - here lies the light leading to the end of the tunnel.